Hi! I’m a blogger from Jaipur and Jaipurthrumylens is a blog on Jaipur. I’m sure you must have heard about Jaipur, a city in Rajasthan, India; popular the world over as “The Pink City”. Over the course of years, I had the opportunity to visit many other cities across the country. Having traveled around, I realized that Jaipur is unique vis–à–vis all other cities. 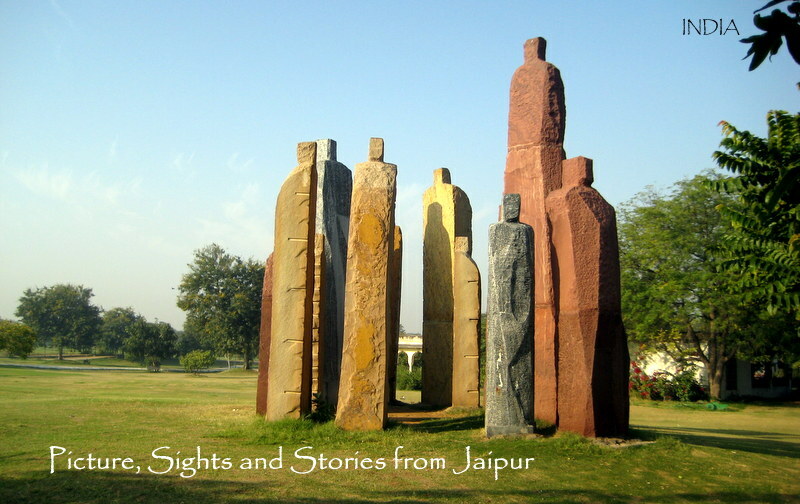 Jaipur encompasses a rich & unique culture that is hard to find in other cities. It has a very distinct flavor & feel, which draws regular visitors again and again! Every festival is celebrated with zest & fervor. The rich monumental legacy is certainly one of its kind with a long list including Amer Fort, Jal Mahal, Hawa Mahal to name a few! Tourists at Hawa Mahal, a famous tourist attraction. There is so much to Jaipur that any combination of 26 alphabets will not be able to cover it all……Internet and guidebooks, Jaipur travel blogs are replete with information on Jaipur, most of which is quite a cliche. Jaipurthrumylens is a blog on Jaipur. I have tried to bring forth the essence of this city in my own style. Everything on ” Jaipur thru my lens” revolves around the pictures, scenes, and stories from Jaipur. Hey Arv. Thank you for visiting my blog so I also have chances to visit yours. It’s incredible stories I found there. I often found the blogs writing a lot about India, but mostly it’s for the most tourist attraction places only, such as Delhi, Goa, and of course Jaipur too. But none providing such as info about Jaipur as detail as yours. I still have not changed yet to visit India, so travelling through your blog at least can give me some views how the it is.. And of course, Jaipur is on the list..Keep it up.. Thanks Nurul for the words of appreciation. I’m sure you’ll visit India soon along with Jaipur! Nice blog! Jaipur or India is one place I don’t mind going back to. Keep it up man, your lenses are special to look Jaipur ! Thank you, Jagdish! I’m happy you liked Jaipurthrumylens!! I hope you’ll keep visiting here for more stories on Jaipur. I’m enjoying your blog as well! Love the photos! Happy to know, Ipuna! Do visit again…have a great week ahead! You’ve got some incredible stories here…i think we saw most of the stuff you’ve written about…but wish I had come across your blog before my trip to be better prepared, especially about finding a ride back from Nahargarh. Thanks for sharing your thoughts here. Although Jaipur is incredibly popular among tourists and that is why you will find immense amount of info on internet but sadly it is all cliche and touristy. Some real helpful information for tourists is always missing from the the top listed sites on google. Happy to know you enjoyed your trip to Jaipur. Loved how you said this blog is about you being a traveller at home. Looking forward to exploring Jaipur through your lens! Happy to hear this, Pranoti. 😃 Have you ever been here? Where are you based, Anjali? I am based out in Mumbai.